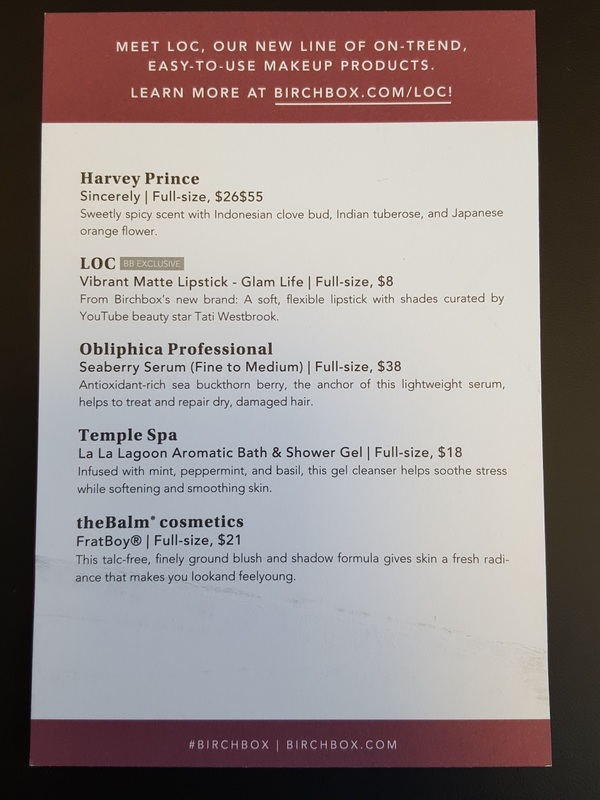 Obliphica Professional Seaberry Serum (0.5oz value: $8.75) - I think this might be my first hair serum with sea buckthorn oil as the main reparative ingredient. Seaberry oil is full of antioxidants and can be used to treat and prevent sunburn as well as do double duty as a cough expectorant. Yup, it's got a pretty impressive resume, but will it work on my hair? Guess I gotta find out...as soon as I run out of my Marc Anthony Moroccan Oil. LOC Vibrant Matte Lipstick - Glam Life (0.02oz full size value: $8) - Meet LOC, Birchbox's new brand. 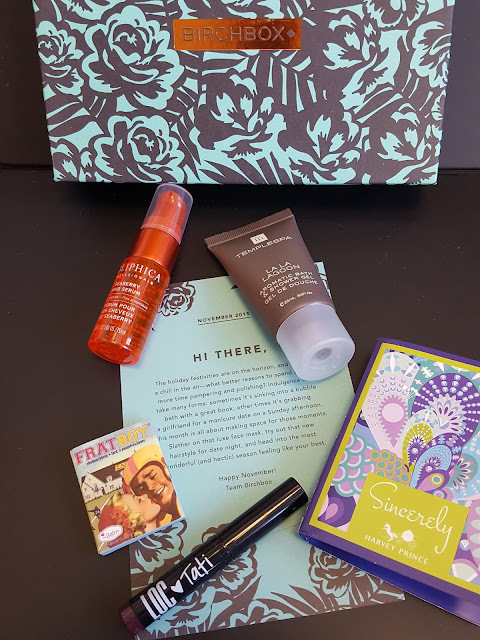 Every subscriber received one of the lipstick shades curated by YouTube sensation Tati Westbrook. 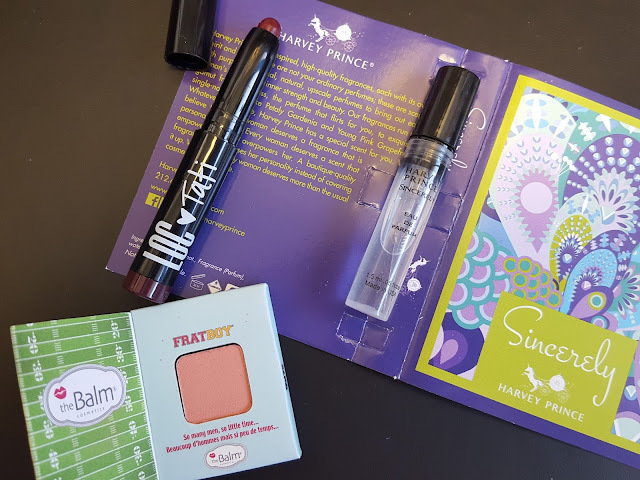 We had a chance to choose which shade we'd get and I was hoping to snag First Kiss (pinky beige), but by the time I opened the email the only choice left was Glam Life which is a purplish berry plum. Of course it didn't occur to me until later that if I left my choice blank, there could have still been a chance that I'd end up with the pinky mauve color. Oh well. Plum is a nice fall color, now's as good a time as ever to get used to it! Harvey Prince Sincerely Perfume - Has anybody been keeping track of how many fragrances Harvey Prince has pumped out? 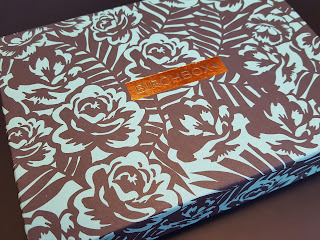 It seems like every few months I'm getting a new one in my Birchbox. Sincerely has delicate notes of South African freesia, Japanese orange flower, Moroccan rose, Turkish cyclamen, and Indian tuberose. Hints of spicy Indonesian clove bud trickle in with fresh Spanish mandarin and French bergamot while deep and intriguing Lebanese cedarwood and Australian sandalwood transport you to faraway lands. It's seriously a trip around the world in a single whiff. theBalm Cosmetics FratBoy Shadow/Blush (0.02oz value: $1.50) - FratBoy is a peach-pink blush that can also double as an eye shadow. I'm always going to love theBalm's cute magnetic cases, but blush is one thing I don't go through quickly enough to keep extras on hand. 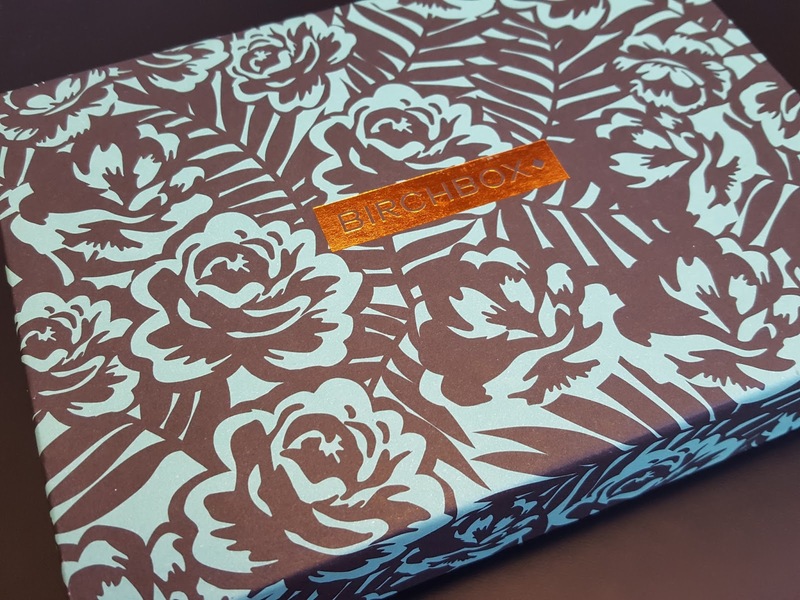 If you're interested in Birchboxing (yup, my word), click here to start your subscription. Even if you don't like your first few boxes, you can change up your profile at any time to tweak future box curations. That usually works for most people, though it may take a few attempts like it is for me. 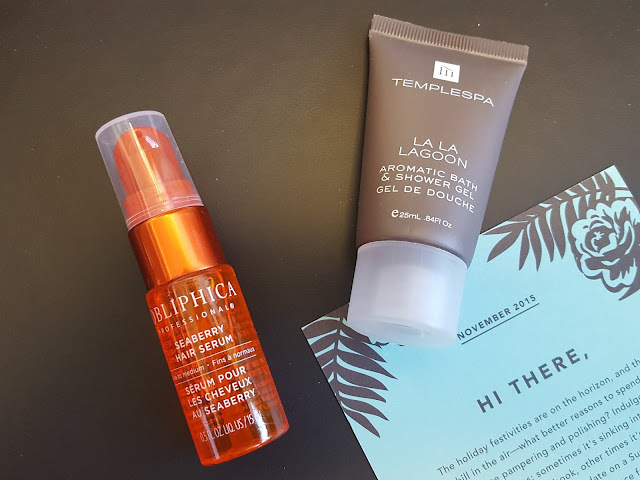 To give you more incentive to stay, Birchbox also has the best points system out there where you can earn points like crazy and redeem them by shopping around their huge online store.